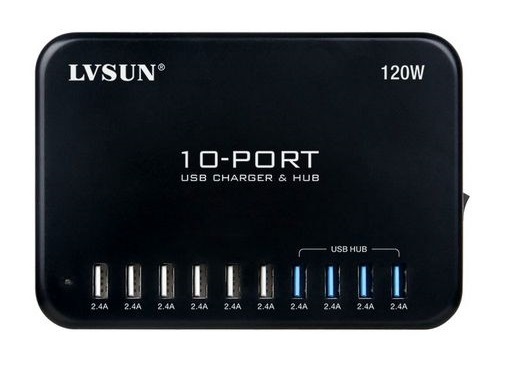 10 independent USB outputs for fast charging 10 iPads®, tablets, phones at 2.4 Amp each. 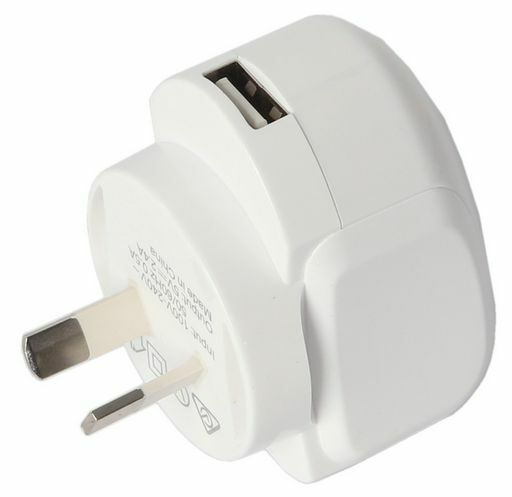 Ultra-High Power, Intelligent Recognition for Speed Fast Charging with Auto-detecting current control for safe charging. 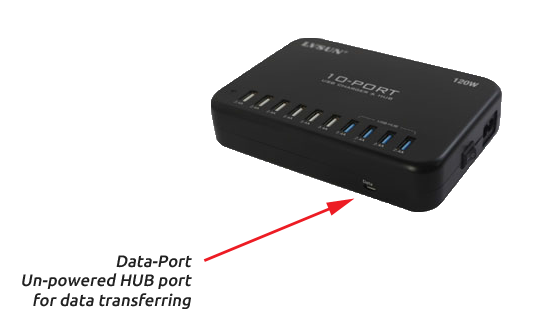 Equipped with the latest GI3520 USB3.0 chipset, 4 port hub can transfer data at up to 5Gbps. 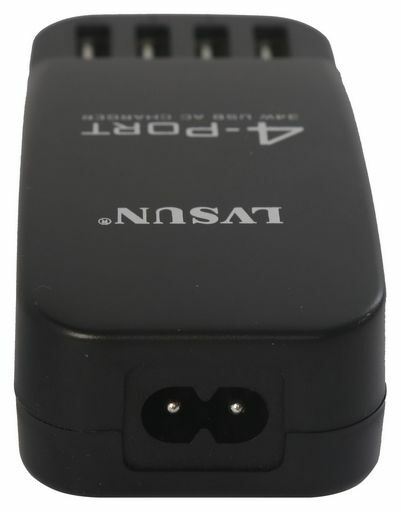 AC input 100-240V with master power switch. Features over current, over voltage, over temperature protection and short circuit protection. 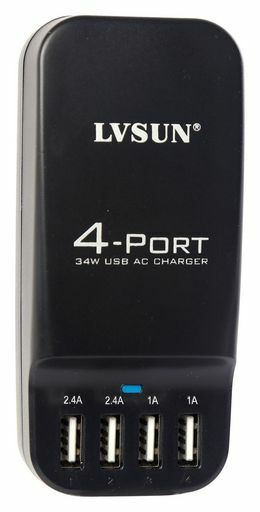 4 dedicated USB charging ports with up to 34 Watts of power (6.8A). Capable of charging up to 2x iPads/tablets (at 2.4 Amp) and 2 smartphones (at 1 Amp) simultaneously. Automatically identifies your device and switches the charging output to give you the faster charge at a safe charging current.